A Prince George's County Police officer killed in a crash in Lanham this month had alcohol in his blood at the time, but there is no indication alcohol was the primary cause of the crash, Chief Mark Magaw said Friday evening. Officer Brennan Rabain, 26, was killed in a crash about 3:20 a.m. March 7. The toxicology report found Rabain had a blood-alcohol level of .07, which is below the legal limit of .08 for driving under the influence but could lead to driving while impaired charges under Maryland law, Magaw said. But video does not show Rabain swerving at all, and Park Police who spoke to Rabain shortly before the crash saw no sign of impairment. 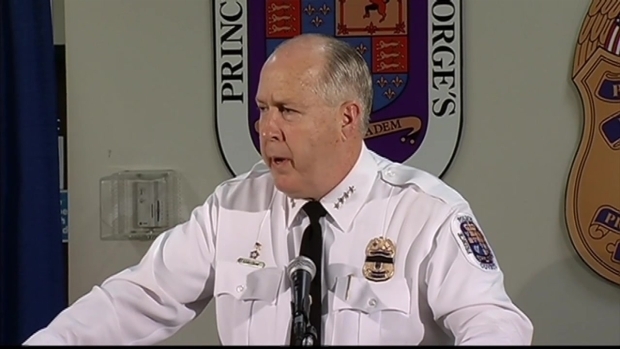 Prince George's County Police officials speak to the media about findings in the death of Officer Brennan Rabain. In order: Director of Media Relations Julie Parker, Chief Mark Magaw, Inspector General Carlos Acosta. Rabain's girlfriend told investigators he was driving her home when he spotted a speeding car. She said she thought Rabain was about to slow down or pull over that car when he lost control and crashed. She suffered minor injuries in the crash. Rabain had been off duty, but when he initiated the traffic stop, he went back on duty, police said. He drove as fast as 106 mph during the pursuit, Magaw said. He was driving at 64 mph when he lost control and crashed at 50 mph. According to the investigation, at 3:19 a.m. Rabain switched his radio to channel two, which would be appropriate if he was trying to call in a traffic stop. The first 911 call came at 3:21 a.m. Magaw believes that split second he switched the channel while driving at that speed on a curve in icy conditions caused the crash. 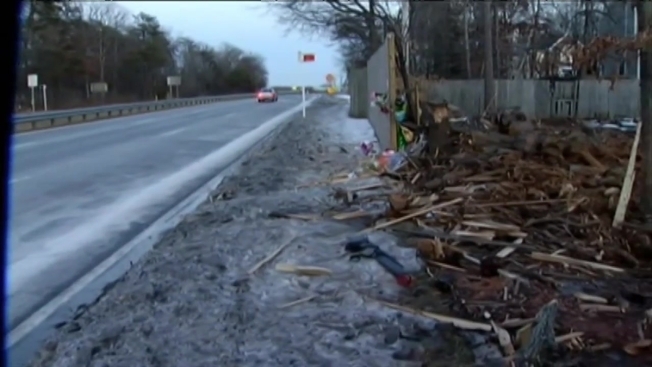 “If I had to guess, that’s when he lost control and hit the fence,” Magaw said. But the chief did not condone Rabain drinking any amount of alcohol before driving or driving at those speeds. The dashboard camera in the cruiser was broken, police said. Rabain left behind a 3-year-old daughter, police said. His fellow officers have established a GoFundMe site to help the family.